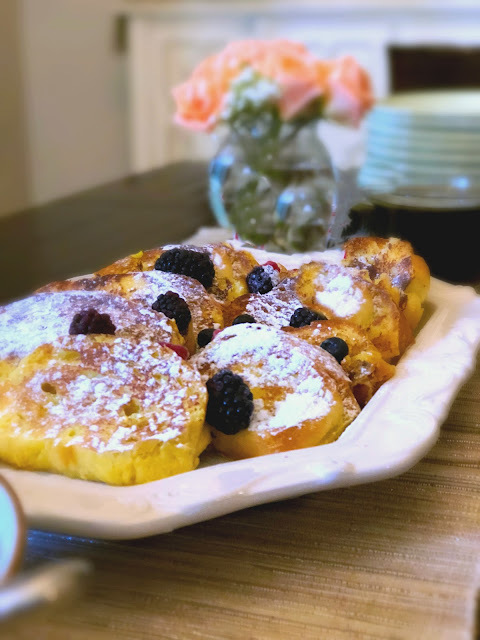 Challah French Toast Recipe, fluffy thick sliced Challah bread dipped in a creamy egg mixture until soaked through but not soggy then fried in sizzling butter. Ideal to serve for brunch, weekend family breakfast, or like we do for weeknight dinner. French toast is one of those foods that remind me of my childhood when my Mother would make it on Saturday morning during the winter months. The house would be so cold in the mornings. We had open flame heaters in the living room and bathroom. She would light the oven in the kitchen for heat too as she started the bacon cooking. French toast is comfort food for breakfast that will warm you up fast. 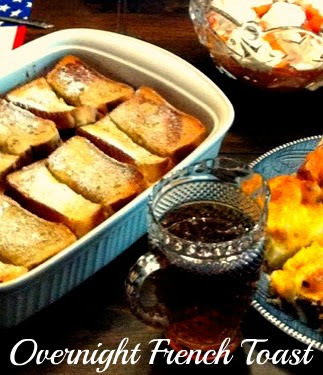 Mother's french toast on cold Saturday mornings is still one of my favorite memories of her in the kitchen. French toast has been a big hit for breakfast in our household as well. Like my Mother, a lot of times I make French toast from bread that I have on hand. When I plan ahead on my next grocery store trip, I will pick up a package of Texas Toast. It makes delicious French toast too if that is all you have. My children grew up with this bread on most occasions when we made French toast. Here recently, I discovered a new bread to make French toast with that I have only eaten in restaurants. The bread is soft, dense, and eggy. Astounding bread that is sturdy enough yet tender to make the most amazing French toast. Challah bread brings all of the components for just that. 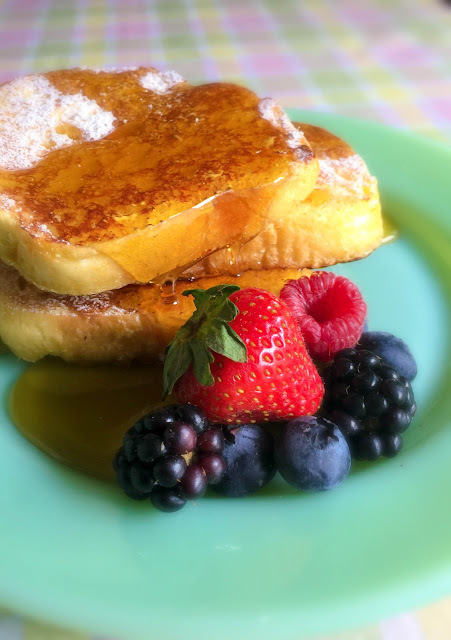 Here is a couple of little secrets to reaching fabulous French toast. One, like any bread used to make French toast, it needs to be on the dry side. Fresh bread will not grab all the creamy egg mixture that it is dunked in before frying. I like to lay the bread out on a sheet pan several hours before I make it. If I make it in the morning, I will lay it out the night before. If I make it for dinner, I will lay it out the morning of making it. Second, heat the oven 250 degrees F. and as you fry the French toast in batches keep cooked slices on a rack insert on a sheet pan. The French toast will stay fluffy and tender until all the French toast is cooked. This is an excellent way to prepare French toast for a crowd. My family is large when we all get together and this way we can all sit down and enjoy brunch or breakfast altogether. I have never made Challah bread, I hope to one day, so I like to buy it in specialty bakeries when I have the opportunity. I picked up a few loaves of challah bread on my last visit to my sons. 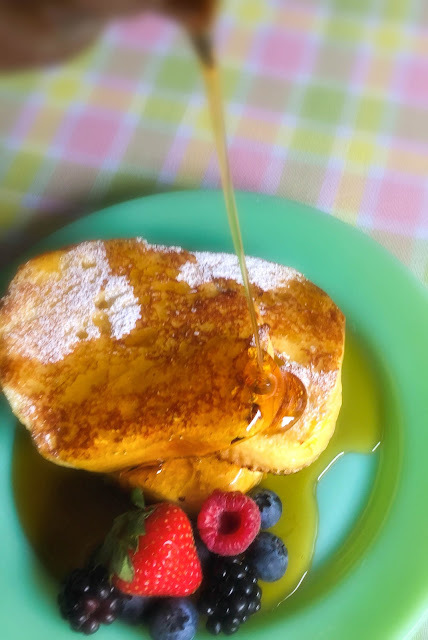 While I was there, we made some Challah French Toast for brunch to celebrate my grandsons 17th birthday. Do you like Breakfast for dinner? We love it! I had a loaf of challah bread leftover from our breakfast at my son's, so I decided to make some for my daughter's sons who live close by for dinner. I needed another dish to go with the Challah French Toast. That's when I came up with the idea to make some Southern Breakfast Enchiladas. Oh! My so delicious. I also rounded out the richness of the French toast and breakfast casserole with a big bowl of berry fruit. I hope you will try challah bread for your French toast soon. You will be amazed how lush and fluffy the French toast is. Serve it with a sprinkle of powdered sugar, hot syrup, fruit, or all three like we did. haha! Enjoy! Fluffy thick sliced Challah bread dipped in a creamy egg mixture until soaked through but not soggy then fried in sizzling butter. 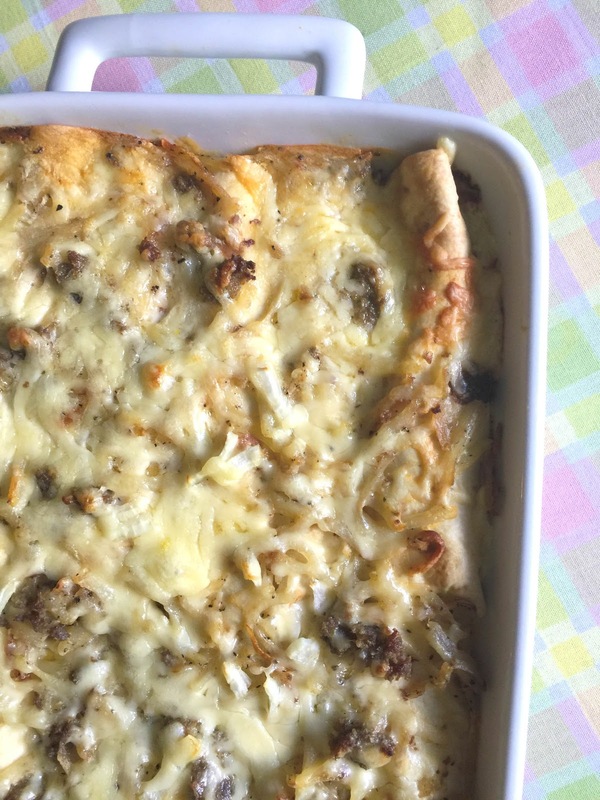 Ideal to serve for brunch, weekend family breakfast, or like we do for weeknight dinner. Preheat oven to 250 degrees F. Place a wire rack in a baking sheet pan; set aside. In an 8-inch x 8-inch shallow baking dish, using a wire whisk, whisk together milk, eggs, sugar, and vanilla until creamy smooth. On medium high to high heat, heat one tablespoon butter in a large cast iron skillet until sizzling. Dunk two bread slices separately in the creamy egg mixture until thoroughly coated. Immediately place each one in the hot sizzling butter. Fry until golden brown, about 3-4 minutes. Flip and continue to fry until golden brown, about 3-4 minutes. If the French toast is cooking too quickly and getting too brown reduce the temperature. Transfer the cooked French toast to the rack lined baking sheet pan. Repeat cooking with the remaining bread, two pieces at a time., adding a tablespoon of butter for each batch and place in the oven while the others are cooking. Serve warm with powdered sugar and syrup.